''Pepper Vally''. 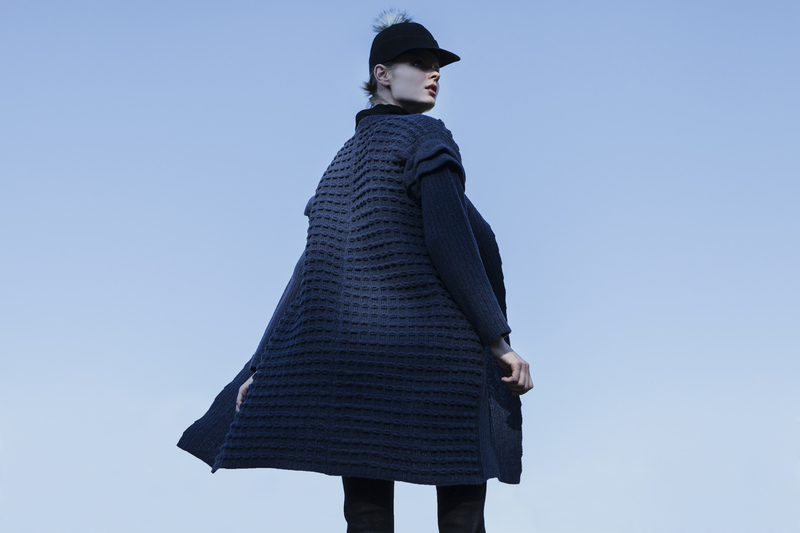 Expertly Crafted Knitwear by Spiros Fragos and Aliki Goritsa. Pepper Vally Designers Knitwear_from the idea to the final product. Pepper Vally brand was founded in 2010 by Spiros Fragos with his partner and fashion designer, Aliki Goritsa. They both studied textile engineering in Technological University of Piraeus in Athens_Greece and have a unique combination of knowledge and experience in knitting technology. Spiros is specialized in Knitwear Pattern Programming and Production and Aliki, as also a Master Title graduate in Textile and Fashion Design from Reutlingen University in Germany, coordinates the creative and designing sector. Having as equipment new age knitting machines, the company is specialized in knitwear only, keeping the production phase from the idea to the final product in factory; a structure unconventional for the European customary. The basic promise of Pepper Vally team is the experimentation of new forms and high-tech techniques possibilities for each cloth in each collection, so each piece to be contemporary and authentic. The only imported product is yarn,_exclusively high quality material from Europe,_and it is produced the fabric-pattern and the cloth-design, with a seamless and multi-tasking orientation. The most of the clothes can be wearied with several ways and in any occasion, keeping always an elegant and fresh touch and getting inspired from another view in knitwear philosophy, that make them “easy to wear”. The fact, that all the production stages remain “in Haus”, from fabric to package, make them also “easy to buy”. Pepper Vally is all about a great desire to create avant-garde and characteristic designs in a subtractive way. The company fans in Greece and abroad enjoy this new aspect of wearing knitting goods, keeping in mind the austere grandeur of Greek heritage denatured in the new global contemporary environment requirements. The brand cooperates with suppliers of fair trade, ethical, organic and eco yarns and components exclusively from Europe, with certifications of Testing for harmful substances according the Oeko-Tex Standard 100. Fine quality yarns of basically natural composition, such as extra fine merino wool, alpaca, cashmere, silk, organic cotton; viscose blends with angora and linen generate precious women’s knitwear for all seasons. Respect, trust and consequence to the entire chain are also the values that make the collaborators of the company satisfied and willing to have long term cooperation. All fabrics and clothes in the photos are knitted, as Pepper Vally΄s ''total look” philosophy includes pants and outerwear and not only accompanying cardigans, that can be worn with several ways. One of our exclusive knit-techniques imitates the loom-denim fabric. The outcome is a soft and comfortable fabric reflecting in a total athleisure knitwear look, perfectly fit to the body, yet reminding and upgrading the classic denim look. ''Sans Voir'' by Vaso Benai.